Welcome to Part 5, the final article in the Best Investing Method Series. The goal of this series is to show how to invest – simply. Setting up a lazy portfolio of index funds from diverse asset classes is the closest approach you have to a “sure thing”. Not because you will never lose money, everyone loses money once in awhile, but because you will minimize losses and maximize gains. 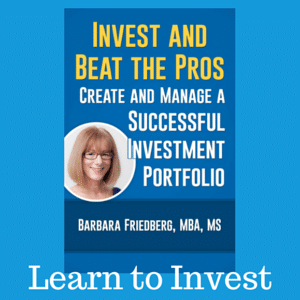 Learn dollar cost averaging and put your investing on auto-pilot. Research shows that it is exceedingly difficult to beat the returns of the overall market long term. It is also quite unlikely you can time the market and get in at the absolute bottom and out at the top. A Vanguard study found that the more an investor jumps in and out of the market, the lower their overall returns. Is Market Timing the Way to Boost Returns? Timing the market seems like the way to go. Buy in at the bottom and sell at the top, right? Certainly, this is preferable, but impossible. The perfect market timer will definitely beat the market returns according to Bodie, Kane, and Marcus’ classic Investments text, beating the 9.57 percent average stock return (1926-2009) by 6.7 percent for an annual return of 16.27 percent. The problem with the “perfect market timer” is that she does not exist. It’s impossible to get in at the bottom and out at the top all of the time. More times than not, the market timer trades too much, pays too much in fees, and sports lower overall returns than the investor who stays the course and invests with an asset classes diversification approach. Market timing is great, but nearly impossible to implement. In researching this article, I came across several studies advocating the advantage of lump sum investing over dollar cost averaging. 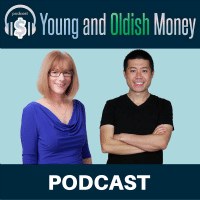 Historically, the market goes up more years than it declines, so taking a lump sum and investing it all at once in the early stages of an increasing market, usually out performs dollar cost averaging. If this is the case, investors should take the amount of money they would invest during a year or two and invest it all at once. There are a few problems with lump sum investing. First, most investors don’t have a lump sum to invest. Second, it’s stressful to invest a large sum at the wrong time. If you invested a lump sum in the S&P 500 at the beginning of 2000, 2001, 2002 or 2008, you’d have lost 9.03, 11.85, 21.97 or 36.55 percent respectively. If you did have a lump sum to invest, how would you feel putting $10,000 into the market this week and watch the value decrease during the next market decline? If history is any guide, during the next five years, there will be a negative return in the stock markets in one of the upcoming years. Markets go up and down and after nine years of increasing market returns, it’s likely to see a negative return year. Psychology matters in investing. The behavioral finance concept, loss aversion, shows that investors feel a loss more strongly than they appreciate a gain. An investor who drops a lump sum into an investment and then watches the value plummet will usually feel horrible. For psychological and practical reasons, lump sum investing is difficult to pull off. Dollar cost averaging means investing in the markets with a specific amount of money at regular intervals. If you are investing in your workplace retirement account and transfer $400 from each paycheck into a 401(k), then you are dollar cost averaging. By dollar cost averaging and regular rebalancing of your portfolio (going back to the original asset allocation), you are automatically buying more shares when prices are low and fewer at higher prices. Assume you invest $400 each month into a stock fund such as Vanguard Total World Stock Index Fund (VTWSX). beginning in January 2015. On January 1, 2016 you bought 18.91 shares for a low price of $21.15. You bought fewer shares, 12.87, on January 1, 2018, when the price was $31.09. Thus, you bought more low priced shares and fewer shares at the higher price. A systematic strategy to buy low. When you reinvest all dividends and capital gains and buy more shares when prices are low, you’re avoiding the possibility of “going all in” at the wrong time. Thus, your risk is reduced. Even if you don’t have a workplace retirement account, you can open a Roth IRA (if you meet the IRS income guidelines) and complete the paperwork to have a specific amount transferred into the account every month. 1. When the money is transferred automatically, you learn to live without spending it and your wealth is growing and compounding. 2. You avoid the possibility of putting all your money into the market before a big decline. 3. Your future finances are growing and you’re reducing the psychological fear of running out of money when you’re old. 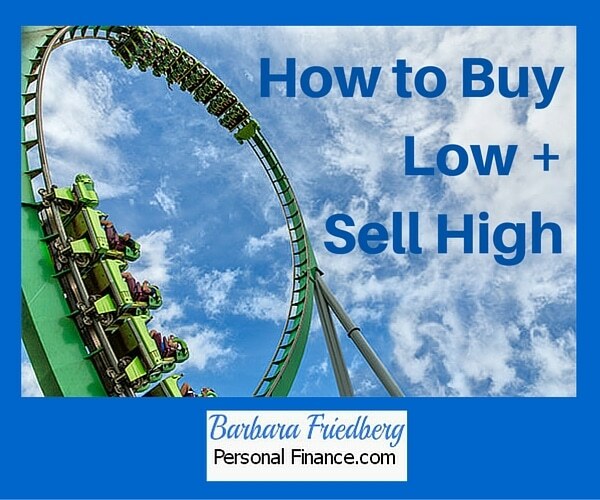 The perfect answer to ‘How to buy low and sell high?’ is elusive. But, if you want to buy lower and sell higher, then dollar cost averaging is good approach. In fact, you may already be practicing this approach if you’re investing each month in your workplace 401k account. Investing doesn’t have to be complicated or scary. You don’t have to pay someone to invest your money for you. Spend a bit of time learning the investing basics and start now. Figure out your risk tolerance, choose a few index funds, and have part of your income directed into your investment or retirement account to secure the future. It’s easy and you’ll sleep better knowing your future will be secure. Ultimately, you’re buying more when prices are low and fewer shares as prices rise. And when you do sell, after many years, you’ll wait until prices are higher and you won’t sell out of fear during a typical market downturn. Print out the whole series for a step by step guide to a secure future by investing in a diversified asset classes portfolio. What is your best investing tip? If you haven’t started investing yet, what’s stopping you? Since I primarily invest in mutual funds, I would like to think I am buying low and selling high. Many of my funds are index funds and I dollar cost aaveraged into the funds. @Krantcents-If you dollar cost averaged into the funds when you invested, you probably bought more shares when prices were lower and fewer shares at lofty prices. Great series, Barbara. People who are disciplined enough to follow the advice you’ve given will be very happy with their returns years from now. As reinforcement to your series, I suggest that people read Jack Bogle’s Twelve Pillars of Wisdom. I like how it all comes down to math sometimes. Dollar cost averaging can be a nice low maintenance approach to buy low and sell high! Hi Bryce, I think the most difficult part of this whole investing path is patience. 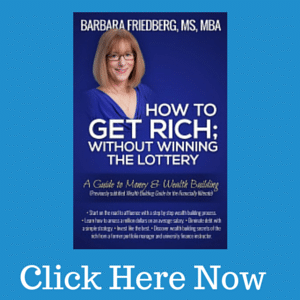 It’s tough to believe that if you just stay the course over the long term, you can amass at least a million dollars or more if you start young enough. The investing trinity: asset allocation, index funds, and dollar cost averaging. Can’t go wrong with all three of those. I agree, timing the market to perfection is near enough impossible. I think if you can get in at a low level (not the bottom) and sell at a high level (near the bubble) you’re doing ok as an investor. I would however love it if I could buy at the lowest market levels and then sell at the highest, I wonder if anyone’s achieved this. Great post Ms Friedberg, keep them coming. @Nick-In response to your question, “I wonder if anyone’s ever bought at the bottom and sold at the top?” If anyone has achieved this miraculous feat, they are not sharing their secret with the public! 🙂 On another note, if you can get close enough to buying at the near bottom and selling near the top, you’re doing well!